Radiographic techniques are widely used to assess respiratory muscle function (summarized in Table 1). Ultrasound is increasingly used, particularly to assess the diaphragm (Table 2). Volumetric imaging (computed tomography and magnetic resonance imaging) has limited research application. M. Three-dimensional reconstruction of the in vivo human diaphragm shape at different lung volumes. J Appl Physiol 1994;76:495-506. 2. Pettiaux N, Cassart M, Paiva M, Estenne M. Three dimensional recon struction of human diaphragm with the use of spiral computed tomography. J Appl Physiol 1997;82:998-1002. 3. Cassart M, Pettiaux N, Gevenois PA, Paiva M, Estenne M. Effect of chronic hyperinflation on diaphragm length and surface area. Am J Respir Crit Care Med 1997;156:504-508. 4. Lennon EA, Simon G. The height of the diaphragm in the chest radio graph of normal adults. Br J Radiol 1965;38:937-943.
expiration chest radiographs correlated with pulmonary function studies. Clin Radiol 1972;23:37-41. 6. Fraser RS, Paré JAP, Fraser RG, Paré PD. In: Synopsis of diseases of the chest, 2nd ed. Philadelphia, PA: W.B. Saunders; 1994. p. 98. 7. Chien IY, Armstrong JD II. Value of fluoroscopy in patients with sus pected bilateral hemidiaphragmatic paralysis. Am J Roentgenol 1993; 160:29-31. 8. Loring SH, Mead J, Griscom NT. Dependence of diaphragmatic length on lung volume and thoracoabdominal configuration. J Appl Physiol 1985;59:1961-1970. 9. Petroll WM, Knight H, Rochester DF. Effect of lower rib cage expan sion and diaphragm shortening on the zone of apposition. J Appl Physiol 1990;68:484-488. 10. Rochester DF, Braun NMT. Determinants of maximal inspiratory pressure in chronic obstructive pulmonary disease. Am Rev Respir Dis 1985;132:42-47. 11. McKenzie DK, Gorman RB, Tolman J, Pride NB, Gandevia SC. Estima tion of diaphragm length in patients with severe chronic obstructive pulmonary disease. Respir Physiol 2000;123:225-234. 12. Singh B, Eastwood PR, Finucane KE. Volume displaced by diaphragm motion in emphysema. J Appl Physiol 2001;91:1913-1923. 13. Fried AM, Cosgrove DO, Nassiri DK, McReady VR. The diaphragmatic echo complex: an in vitro study. Invest Radiol 1985;20:62-67. 14. Ueki J, DeBruin PF, Pride NB. In vivo assessment of diaphragm con traction by ultrasound in normal subjects. Thorax 1995;50:1157-1161. 15. Houston JG, Morris AD, Howie CA, Reid JL, McMillan N. Technical report: quantitative assessment of diaphragmatic movement—a reproducible method using ultrasound. Clin Radiol 1992;46:404-407. 16. Harris RS, Giovannetti M, Kim BK. Normal ventilatory movement of the right hemidiaphragm studies by ultrasonography and pneumo-tachography. Radiology 1983;146:141-144.
volume relation of the right hemidiaphragm measured by ultrasonogra-phy and respiratory airflow measurements. Thorax 1994;49:885-889. 18. Houston JG, Fleet M, Cowan MD, McMillan NC. Comparison of ultra sound with fluoroscopy in the assessment of suspected hemidiaphrag-matic movement abnormality. Clin Radiol 1995;50:95-98. 19. McKenzie DK, Gandevia SC, Gorman RB, Southon FC. Dynamic changes in the zone of apposition and diaphragm length during maximal respiratory efforts. Thorax 1994;49:634-638. 20. Wait JL, Nahormek PA, Yost WT, Rochester DP. Diaphragmatic thick ness-lung volume relationship in vivo. J Appl Physiol 1989;67:1560-1568. 21. Cohn D, Benditt JO, Eveloff S, McCool FD. Diaphragm thickening dur ing inspiration. J Appl Physiol 1997;83:291-296. 22. Taniguchi N, Miyakoda J, Itoh K, Fukui J, Nakamura M, Suzuki O. Ul trasonographic images of the diaphragm and respiratory changes on their thickness. Jpn J Med Ultrasonics 1991;18:93-98. 23. DeBruin PF, Ueki J, Watson A, Pride NB. 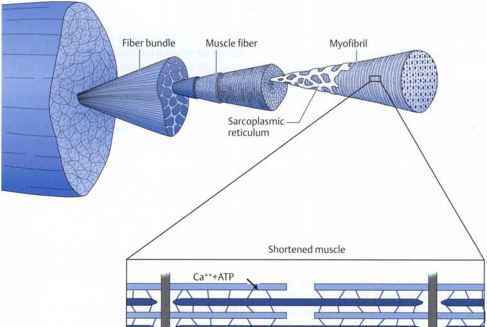 Size and strength of the respi ratory and quadriceps muscles in patients with chronic asthma. Eur Respir J 1997;10:59-64. 24. McCool FD, Benditt JO, Conomos P, Anderson L, Sherman CB, Hop pin FG Jr. Variability of diaphragm structure among healthy individuals. Am J Respir Crit Care Med 1997;155:1323-1328. 25. DeBruin PF, Ueki J, Bush A, Khan Y, Watson A, Pride NB. Diaphragm thickness and inspiratory strength in patients with Duchenne muscular dystrophy. Thorax 1997;52:472-475. 26. Rehan VK, Nakishima JM, Gutman A, Rubin LP, McCool FD. Effect of the supine and prone position on diaphragm thickness in healthy term infants. Arch Dis Child 2000;83:233-238. Jr. Maximal inspiratory pressures and dimensions of the diaphragm. Am J Respir Crit Care Med 1997;155:1329-1334. 28. Gottesman E, McCool FD. Ultrasound evaluation of the paralyzed dia phragm. Am J Respir Crit Care Med 1997;155:1570-1574. 29. Wait JL, Johnson RL. Patterns of shortening and thickening of the hu man diaphragm. J Appl Physiol 1997;83:1123-1132. Lischka A. Diaphragmatic paresis in newborns due to phrenic nerve injury. Neuropediatrics 1995;26:281-284.
pousek A, Grabenwoger F. The value of sonography in the intensive care unit for the diagnosis of diaphragmatic paralysis. Rofo Fortschr Geb Rontgenstr Neuen Bildgeb Verfahr 1998;169:274-277. 32. Ayas NT, McCool FD, Gore R, Lieberman SL, Brown R. Prevention of human diaphragm atrophy with short periods of electrical stimulation. Am J Respir Crit Care Med 1999;159:2018-2020. 33. Cala SJ, Kenyon CM, Lee A, Watkin K, Macklem PT, Rochester DF. Respiratory ultrasonography of human parasternal intercostal muscle in vivo. Ultrasound Med Biol 1998;24:313-326. 34. Strohl KP, Mead J, Banzett RB, Loring SH, Kosch PC. Regional differ ences in abdominal muscle activity during various maneuvers in humans. J Appl Physiol 1981;51:1471-1476. Scano G. In vivo ultrasound assessment of respiratory function of abdominal muscles in normal subjects. Eur Respir J 1997;10:2861-2867. 37. Margulies SS, Lei GT, Farkas GA, Rodarte JR. Finite-element analysis of stress in the canine diaphragm. J Appl Physiol 1994;76:2070-2075. 38. Krayer S, Rehder K, Vettermann J, Didier EP, Ritman EL. Position and motion of the human diaphragm during anesthesia-paralysis. Anesthe-siology 1989;70:891-898. LR. Diaphragmatic motion: fast gradient-recalled-echo MR imaging in healthy subjects. Radiology 1995;194:879-884. 41. Kanematsu M, Imaeda T, Mochizuki R, Yamawaki Y, Goto H, Sone Y, Doi H.
Dynamic MRI of the diaphragm. J Comput Assist Tomogr 1995;19:67-72.
flated patients with severe chronic obstructive pulmonary disease. Am J Respir Crit Care Med 1996;154:800-805. 43. Cassart M, Verbandt Y, de Francquen P, Gevenois PA, Estenne M. Dia phragm dimensions after single-lung transplantation for emphysema. Am J Respir Crit Care Med 1999;159:1992-1997. EW, de Francquen P, Cappello M, Weder W, Estenne M. Effect of lung volume reduction surgery for emphysema on diaphragm dimensions and configuration. Am J Respir Crit Care Med 2001;163:1171-1175.